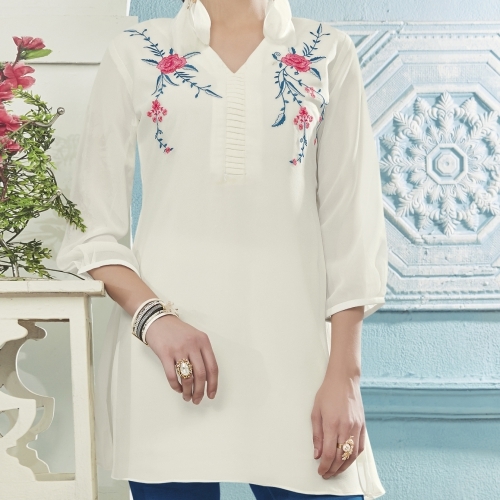 This White color GEorgette fabric party wear kurti is adding the appealing glamorous displaying the sense of cute and graceful. The enticing embroiderd work a substantial attribute of this attire. The length of kurti is around 31 inches and is available in L=40, XL=42 and XXL=44 sizes.